According to an experiment that involved a minuscule model of the Universe that consists of two light particles, time is an illusion. The results showed that what we perceive as time is merely a consequence of an unique phenomenon called quantum entanglement. The research solves a problem that has preoccupied physicists for a long time: the unification of modern physics. Current physics uses two theories to describe current reality. The small world of particles is defined by quantum mechanics and the the big world of planets and black holes is defined by general relativity. But the two theories can not be used to combine their equations in unified theories without eliminating time from the equation. When two quantum entities are inseparable, it’s impossible to measure the changes of one of them without chaining the status of the other object. So, we can deduce that time (or the illusion of it) is a consequence to our narrow perspective. 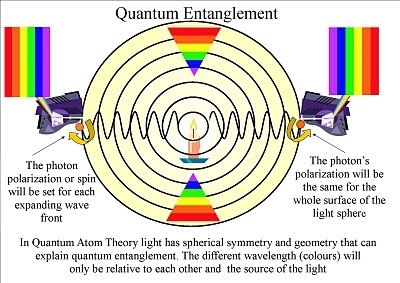 In other words, the observation of a particular element will influence various changes in the other elements involved, due to quantum entanglement.